Update: Here is re-up three of four of the "A BLANK Dose of BLANK Psych" series, which was originally posted almost four years ago on Digital Meltd0wn. For those interested in having the complete series, I will be posting the last installment of the series, "An Overdose of Hard Psych" tomorrow. Apparently I never got around to posting a track list for this around the time I originally posted it. Things obviously haven't changed much, because I have precious little time on my hands now. I have my college finals to study for, but I'm going to go ahead and put a track list together for you all since I love you people. I apologize for taking so long to finally deliver on this. For those interested, I posted the companions to this several months back, actually it may have been more than a year ago. They can be found here - An Overdose of Heavy Psych, A Deadly Dose Of Wylde Psych, and A Lethal Dose Of Hard Psych. I'm short on time right now, but I'll add the track list as soon as I return from work. Enjoy! This is a reup that was originally posted on DM back in 2006. I will be posting "A Heavy Dose of Lyte Psych" tomorrow. Trip on out to 26 excessive tracks (over 78 minutes) of sparkling ’60s psychedelic acid reign. Presented here is elusive American psychedelic rock at it’s best—from the savage to the sublime, massive to the mesmirizing, and futuristic to flashbacks. Deadly Dose of Wylde Psych is another wild compilation from Arf Arf that digs up 26 tracks of long lost American psychedelic acid rock from the mid-'60s. 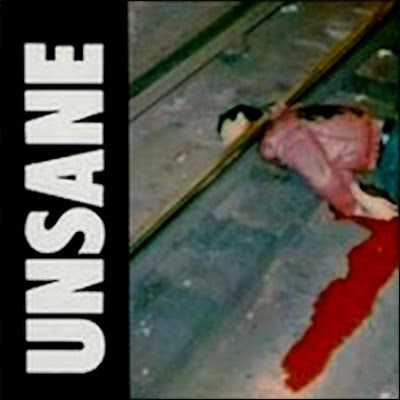 These tracks were recorded during an era when garage bands switched from "Louie Louie" and "Gloria" to a darker, yet no less inept, age of acid-influenced sludge. During the 78 minutes of Deadly Dose, listeners are introduced to beyond obscure bands with names like Chocolate Moose, Peacepipe, Lime Frost, Nite Watchmen, and Sweet Cherry. Most of these tracks sound like a combination of the Music Machine or Count Five with Barry Melton or Jorma Kaukonen on electric guitar at their most hallucinogenic. As requested, here is a repost of one of the earliest psychedelic comps to be posted on Meltd0wn. I will be uploading the companion albums "A Hard Dose of Lyte Psych" and "A Deadly Dose of Wylde Psych" next. "With twenty-three very rare singles, originating from all over North America, from 1966-70 (dates are not given for a couple but they certainly fit the time frame), this is very much in the Pebbles garage compilation mentality. The key difference is that the focus is on a later era -- only two to three years later on the average, mind you, but a significant difference when we're talking about the sixties, when styles and sounds changed very quickly. It logically begats another difference between this and your average garage compilation: there is much more weight given to hard, even heavy, guitar rock and psychedelic lyrics. Featured on this 70+ minute collection is the more bombastic and harder slice of '60s American Psych. You'll find a glorious deluge of overdriven fuzz guitar, swirling surreal sounds, hallucinogenic lyrical content and superb songwriting. As with our previous two installments, fans of Vernon Joynson's Fuzz Acid & Flowers book will discover plenty of massively cool testaments from this by-gone era. Changin' Tymes: Blue Music Box, Catfish Knight And The Blue Express Deathwise, Bondsmen: Our Time To Try, Flower Power: I Can Feel It, Adam: Eve, Aardvarks: Subconscious Train Of Thought, Factree: Kaleidoscope, Light: Back Up, Dutch Masters: The Expectation, Sidells: Watch Out Mother, Zoser: Dark Of The Morning, Tom Dae Turned On: I Shall Walk, Cardboard Box: Come On Baby Legend: Enjoy Yourself, Crystal Rain: Hey Ma Ma, Sound System: Take A Look At Yourself, Lovechain: Step out Of Your Window You Can Fly, Inner Light: Temptation, Mammoth: Mammoth, Lazy Nickels: 35 Design, Enoch Smoky: It's Cruel, Haymarket Riot: Leaving, Mind Garage: Asphalt Mother.I believe this is the third in Arf Arf's psych comp series, adding Hard to the previous Heavy and Light discs. As with those collections, there are plenty of songs here that will make you cringe and thank your maker that the performers are now safely away from the public ear somewhere in the working sector. Then there are bands like Bondsmen ("Our Time To Try"), Mind Garage ("Asphalt Mother"), Legend ("Enjoy Yourself") and Enoch Smoky ("It's Cruel") that had exactly what it took to open for Iron Butterfly back in the day, and these songs are what makes being a garage psych fan a pleasure. Taken as a whole, Lethal Dose is, at the very least, interesting, a hodgepodge of everything from spirited fuzzfests from groups with dubious vocal skills to absolute mind-expansion from groups from which a contact high can somehow still be obtained just by listening. For those of you who collect garage gems from obscure bands of the 60s, this is all moot. You'll snag it regardless. For the casual fans, I recommend this as an entertaining artifact and a 70 minute mind trip. - D.J. Johnson"
So far I have only completed two phases of what will be a six phase update, so there are still several more updates to come. Right now I am going through the comments section and adding the blogs that qualify to the list. This will take some time as there are several hundred comments. I have written a couple of more detailed posts concerning the changes to the site on the site. I have a couple of important announcements to make. First of all I would like to apologize for my recent inactivity here on the blog. I didn't even realize how long it had been since I made a post until a friend of mine pointed it out. I would also like to thank NØ and Sab for shouldering the load and continuously updating the blog since that time. From now till the end of July I will be working on re-uploading albums that no longer have working download links. I will upload these in the order they were reported to me by the visitors of this site. I was also make my best effort to post albums with a higher quality bitrate if they are available. The reason for my recent inactivity is because I have been wrapped up in the planning phase of a very major project for Digital Meltd0wn, and I have been carefully making preparations to ensure that we are able to pull it off smoothly. I will be making an announcement regarding the project in roughly one weeks' time. We are very excited about this project, as it is something that hasn't been attempted by any other music blog, at least as far as we know. Check back in shortly for more details concerning the project, and in the meantime, if any of you run across any posts that have dead download links, please click on the "Report a Dead Link" option on the main menu and leave a comment. Allow me to apologize in advance for the short review. My time has been divided between working on the upcoming project for this blog, updating the DM blogroll, college, and work, so I haven't had much time to focus on writing a lengthy review for any new albums. I had been looking for this album for some time before "" was kind enough to fill my request last week. Thank you once again , for making it possible for me to listen to this gospel gem, and share it with the visitors here also. What we have here is a gospel recording released in 1962, which captures a very upbeat set of performances by Rev. Louis Overstreet, his four songs, and the congregation of St. Luke Powerhouse Church of God In Christ. I should point out that this is a vinyl rip of the original recording released by Arhoolie, and not the reissue released by Mississippi Records. What makes this recording unique from other gospel recordings of the era is the electric guitar, played by the good Reverand, that is featured throughout. It helps to give the performances a more down and dirty rock 'n' roll feeling to it all. Those who follow this blog know that I despise most mainstream religions; however, music like this transcends the religion itself in my opinion, and I can't help but be captured by it's energetic soulfullness. I hope you all enjoy this album as much as I did, and if you do, please take the time to leave a comment and let me know what you think. Edit: This was actually one of the very first albums I uploaded for Digital Meltd0wn almost 4 years ago. I'm in the process of uploading several albums which no longer have working download links. If you happen across any albums that you would like to see reuploaded, now would be a good time to report the dead links. You can find the link to "report a dead link" in the main menu. For those who haven't heard it, I hope you all enjoy this little gem from the DM vaults. 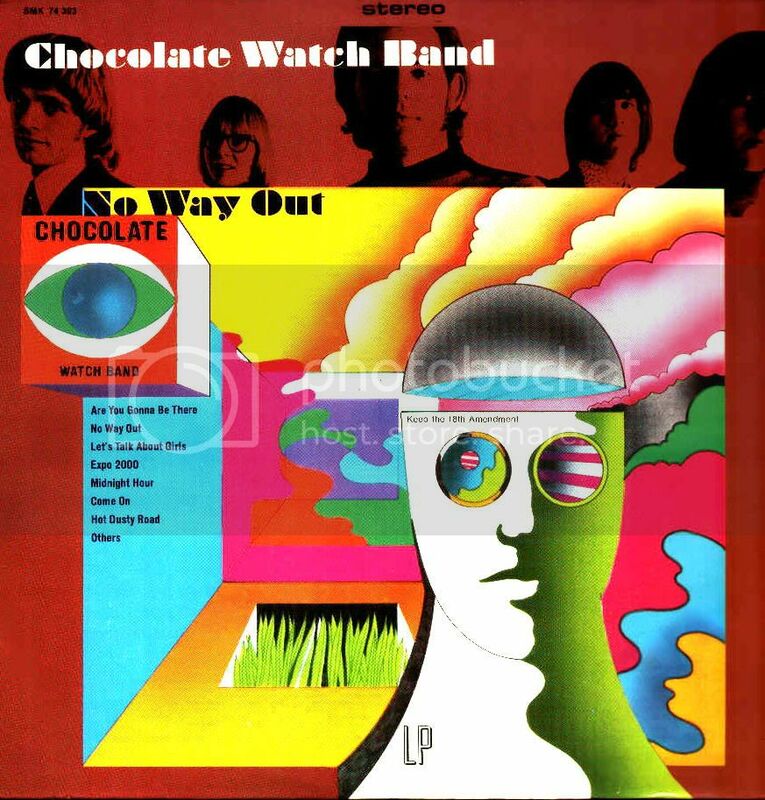 The Chocolate Watchband's debut album, No Way Out was also their most heavily Rolling Stones-influenced album, but appreciating the album and what's on it (and what's not) requires some explanation -- especially as an original vinyl copy could set you back $100 or more. 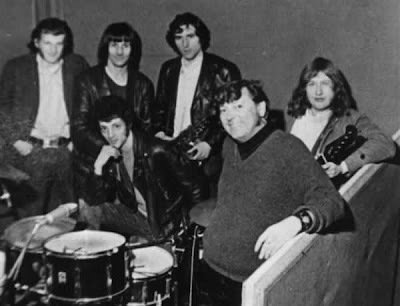 Released in September of 1967, No Way Out came at the end of the band's first 15 months of existence, a period that encompassed the recording and release of four singles of generally extraordinary quality, and as good as anything heard from any garage band anywhere during that period. 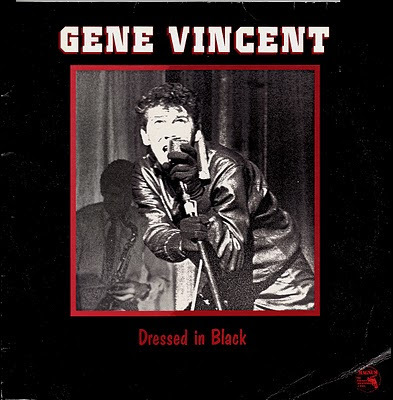 Just two of those single tracks, "Are You Gonna Be There (At the Love-In)" and "No Way Out," ended up on the original ten-track LP, but even they could (and should) have been the core of an immensely powerful LP. Instead, out of the remaining songs, only two -- the group's nicely cranked-up version of Chuck Berry's "Come On" (obviously influenced by the Rolling Stones' debut single, which was, itself, a good trick, since the latter had never seen a U.S. release in any form) and the psychedelic Bo Diddley-based "Gone and Passes By" -- were recorded by the entire group and released in the form intended. The other six tracks included Watchband recordings, such as "Let's Talk About Girls," "In the Midnight Hour," and "Hot Dusty Road," on which lead singer David Aguilar's vocals had been replaced by those of session singer Don Bennett (co-author of the band's single "Are You Gonna Be There (At the Love-In)") and also embellished with extra instrumental overdubs; two instrumentals, "Expo 2000" and "Dark Side of the Mushroom," recorded by a group of studio musicians put together by engineer Richie Podolor; and, finally, the bizarre "Gossamer Wings," a psychedelic digression by Bennett and company that used the band's basic track from the 1966 single B-side "Loose Lip Sync Ship" as its jumping-off point. So what's here is not really representative of the Chocolate Watchband that was seen in the movie Riot on Sunset Strip, or heard on those four killer singles in 1966 and early 1967. All of that said, No Way Out is still an extremely impressive and enduring album that nicely straddles the garage punk and psychedelic genres; the Watchband's "Come On" still gets this reviewer's pulse bouncing to Chuck Berry's beat, and it and the other three finished band cuts are still highly potent, slashing, exciting, clever pieces of music. "Gone and Passes By" and "No Way Out" are sharp works of psychedelic punk music, the former mixing sitar music with a shimmering Bo Diddley beat to superbly seductive effect, while the latter is built on a twisting, jagged blues- and raga-based lead guitar line that recalls the late-1966 vintage Jefferson Airplane's work. And "Are You Gonna Be There (At the Love-In)" is a stirring, even threatening anthem to youthful defiance. The record is still an essential '60s album in any collection.